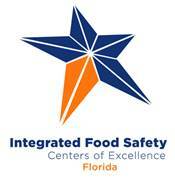 CDC has designated five Integrated Food Safety Centers of Excellence to help fulfill its role in the Food Safety Modernization Act (FSMA). These centers were designated to identify and implement best practices in foodborne diseases surveillance and to serve as a resource for public health professionals at state, local and regional levels. Florida Center serves the state of Florida, Alabama, Georgia, U.S. Virgin Islands and Puerto Rico.